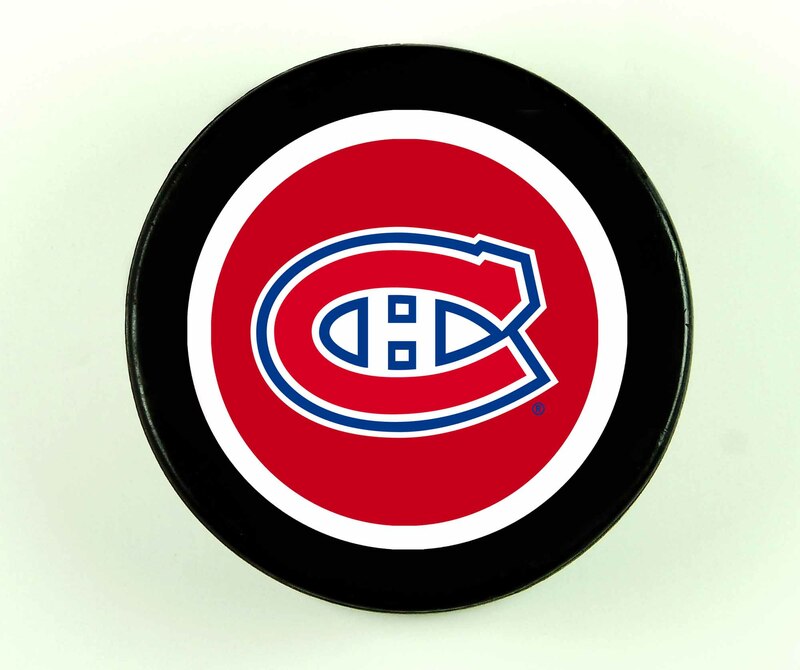 The National Hockey League (NHL) was established in Montréal on 26 November 1917. The National Hockey League was formed. 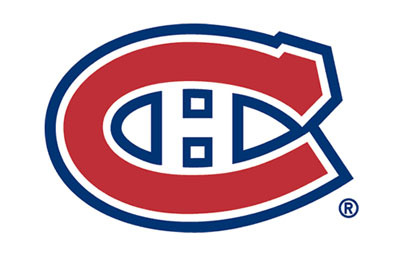 The original teams were the Montreal Canadiens, Montreal Wanderers, Ottawa Senators and Toronto Arenas. One minute into the inaugural game of the NHL, Montreal Wanderers defenceman Dave Ritchie scored the league’s first goal. 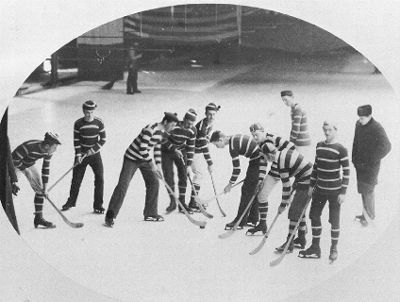 Playing the Toronto Arenas on Wanderers’ home ice, the Montreal Arena, the game ended 10–9. Montréal and Toronto combined to set an NHL record for most goals in a game (21) in a 14-7 win for the Canadiens. The Ottawa Senators won the Stanley Cup, beating the Seattle Metropolitans 3 games to 2. Because of warm weather, the final game was played in Toronto to take advantage of an artificial ice surface there. 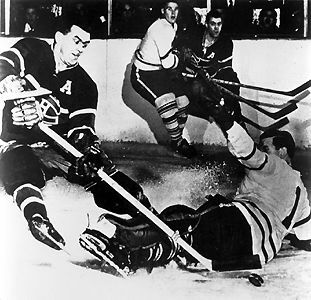 Hockey player Joseph-Henri-Maurice "Rocket" Richard, who scored 50 goals in 50 games, long hockey's most celebrated record, was born at Montréal. The Western Canada Hockey League champion Victoria Cougars were the last non-NHL team to win the Stanley Cup, beating the Montreal Canadiens by 3 games to one. The Toronto St. Patricks hockey team was renamed the Maple Leafs, shortly after the club’s sale to a group headed by Conn Smythe. 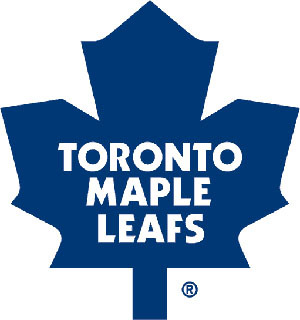 The original Leafs jerseys featured a green maple leaf, but the signature blue leaf appeared the next year and has been standard ever since. Hockey player Gordon Howe was born at Floral, Sask. Montréal Canadiens hall-of-famer Richard "Dickie" Moore was born in Montréal, QC. Moore played left wing for the Habs from 1951 to 1963, winning six Stanley Cup championships as part of a legendary lineup that included Maurice "Rocket" Richard, Henri Richard and Jean Béliveau. A leading scorer in the NHL of his era, Moore won the Art Ross Trophy two years in a row. Hockey great Frank “The Big M” Mahovlich was born in Timmins, ON. Mahovlich joined the Maple Leafs in 1957, taking the Calder Trophy for best rookie. 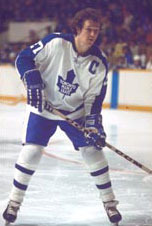 Known for his power-skating and booming slap shot, he was a key component in the Leafs' four Stanley Cup victories in the 1960s. Mahovlich was inducted into the Hockey Hall of Fame in 1981, and appointed to the Senate in June 1998. He retired in 2013. The New York Rangers beat the Toronto Maple Leafs to win the Stanley Cup, the last that they won until 1994. Maurice "Rocket" Richard of the Montreal Canadiens scored his 45th goal of the season to break Joe Malone's NHL single-season record of 44 goals set in 1918. Maurice "Rocket" Richard scored his 50th goal in his 50th game of the NHL season, a record that stood for almost 40 years. 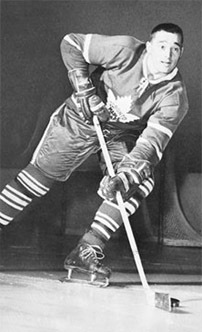 Bill Barilko of the Toronto Maple Leafs scored the last game of his life in the first overtime period against the Montreal Canadiens, winning the Stanley Cup for the Leafs. He perished in a plane crash shortly after and his body was only recovered 11 years later. Ironically, the Leafs did not win another cup until the year his body was found. Bill Mosienko of the Chicago Black Hawks set an NHL record by scoring 3 goals in 21 seconds. He scored at 6:09, 6:20 and 6:30 of the third period against the New York Rangers. The suspension of Montreal Canadiens player Maurice Richard by NHL president Clarence Campbell triggered a riot at the Montreal Forum that spread into the streets. 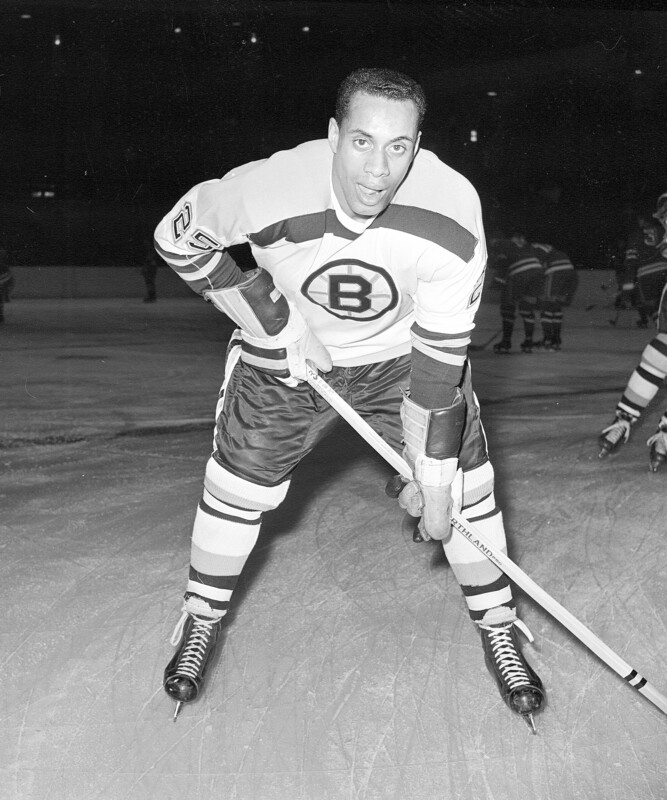 Hockey player Willie O'Ree has his NHL debut with the Boston Bruins in a game against the Montreal Canadiens, thus becoming the first Black person to enter the league. 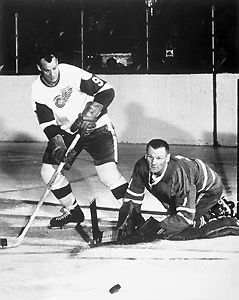 Gordie Howe of the Detroit Red Wings scored one goal and assists on another to pass Maurice (Rocket) Richard as the leading scorer in NHL history. 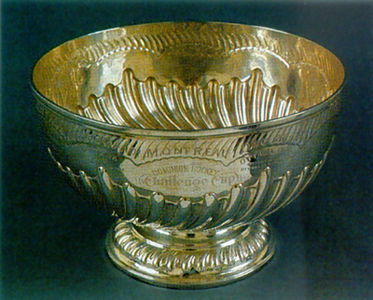 The Montreal Canadiens defeated the Toronto Maple Leafs, winning the Stanley Cup for an NHL-record fifth year in a row. The National Hockey League announced the formation of a 6-team division, consisting of Los Angeles, San Francisco/Oakland, St Louis, Pittsburgh, Philadelphia and Minneapolis-St Paul. 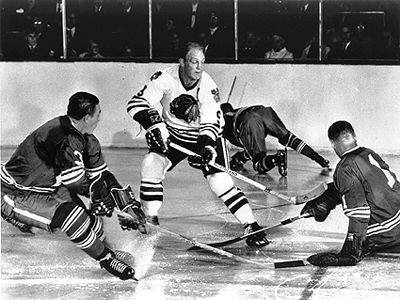 The division began play in the 1967-68 season. 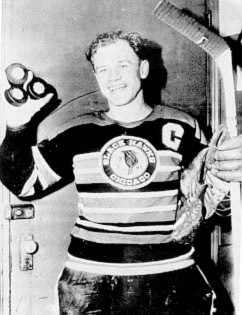 Bobby Hull of the Chicago Black Hawks became the first NHL player to score more than 50 goals in a season. Vancouver was awarded an NHL franchise. The Canucks' team name comes from a comic book character who protected Canada from the Nazi menace during WWII. 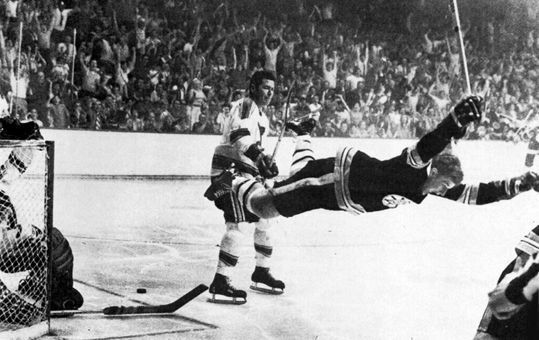 Bobby Orr of the Boston Bruins was the first defenceman to win the NHL scoring title. The Vancouver Canucks joined the NHL. The Vancouver Canucks played their first NHL game, losing to the Los Angeles Kings. Darryl Sittler of the Toronto Maple Leafs set the single game NHL scoring record with 6 goals and 4 assists in a 11-4 defeat of the Boston Bruins. The NHL Players' Association ratified the merger of the National Hockey League and the World Hockey Association. Former WHA teams Québec, Winnipeg, Edmonton and Hartford joined the NHL. The NHL rival World Hockey Association folded. Winnipeg, Québec, Hartford and the Edmonton Oilers were taken into the NHL. Gordie Howe retired from hockey, having played his last game with the Hartford Whalers. Though House Leader Nelson Riis demanded the government block the trade, Wayne Gretzky was traded from Edmonton to Los Angeles. 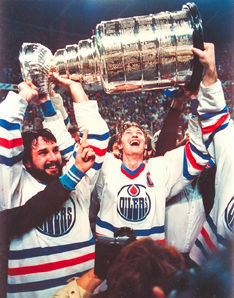 The “Great One” left the Oilers along with defenceman Marty McSorley and centre Mike Krushelnyski. Gretzky would lead the Kings to their first Stanley Cup final in 1993. The trade was the driving force behind the NHL’s expansion into such “non-traditional” hockey markets as Arizona. Goalie Manon Rhéaume became the first woman to play goal for an NHL hockey team, the Tampa Bay Lightning. NHL hockey returned to Ottawa after a 58-year hiatus. The Ottawa Senators defeated Montreal 5–3 in their first game, but then proceeded to have a dismal year, winning only nine more games all season and finishing last in the league. The Québec Nordiques were sold to Comsat Corporation for US $75 millions. The new team was moved to Denver, Colorado, and renamed the Avalanche. The new team won the Stanley Cup the following year. The Winnipeg Jets officially changed their name to the Phoenix Coyotes. The RCMP finally charged Alan Eagleson, former executive director of the NHL Players Association, with fraud and theft. He had been indicted in 1994 for racketeering and fraud. The NHL approved expansion to 4 more cities: Nashville, Tenn (1998-99), Atlanta, Ga (1999-2000), Columbus, Ohio and St Paul, Min (2000-01). 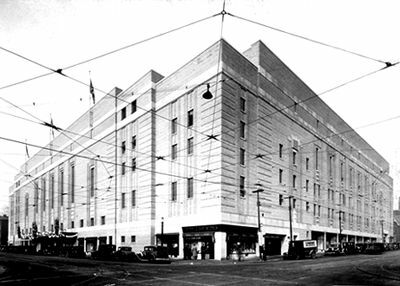 The Toronto Maple Leafs played their last game at the storied Maple Leaf Gardens. Future games would be played at the Air Canada Centre. Wayne Gretzky, aged 38, announced that he would retire from hockey at the end of the season. He had played for 21 years and held or shared 61 NHL records. 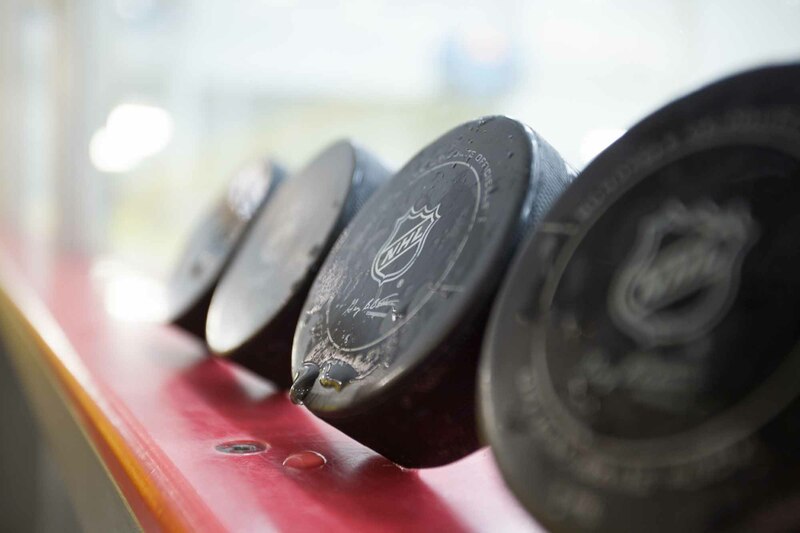 The 6 Canadian-based NHL hockey teams petitioned the federal government for financial aid. It was refused. Steve Yzerman of the Detroit Red Wings, who was born at Cranbrook, BC, scored his 600th NHL goal, the 11th NHL player to do so. In the remaining seconds of an NHL hockey match, the Boston Bruins' Marty McSorely delivered a crushing head blow to Donald Brashear of the Vancouver Canucks. McSorely faced jail time, a first for an incident during an NHL game. He received 18 months' probation and a suspension from the NHL that marked the end of his career in the league. The hit is widely regarded as one of the most disgraceful hits in NHL history. Legendary Montreal Canadien and Hockey Hall of Famer Maurice "Rocket" Richard died in Montréal at age 79. Patrick Roy, one of the NHL's premier goalies, retired after 18 seasons. He won 551 games during the regular season and 151 in playoffs. Elmer Lach, the centre who played alongside Maurice Richard on the Montréal Canadiens’ Punch Line in the 1940s, died in Montréal. At 97, the Nokomis, SK, native was the oldest surviving NHL player. Former Montréal Canadiens defenceman Dollard St-Laurent died in Belœil, QC, at age 85. 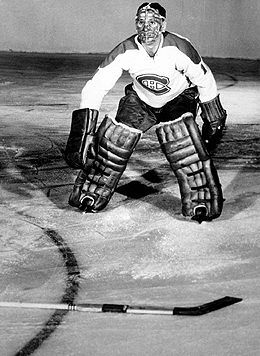 The Verdun, QC, native won five Stanley Cups in his time with the Canadiens during the 1950s, and one with the Chicago Blackhawks in 1961. Montréal Canadiens goalie Carey Price received the Hart Trophy (NHL's most valuable player), the Vézina Trophy (NHL's best goalie), and the Ted Lindsay Award (most outstanding player as voted by the players). In April 2015, he won the William M. Jennings Trophy for allowing the fewest goals in regular season play (189), which he shared with Corey Crawford (Chicago Blackhawks). Price is the first goalie in NHL history to win those four awards, and the second Canadiens player to win four NHL awards (the first was Guy Lafleur). 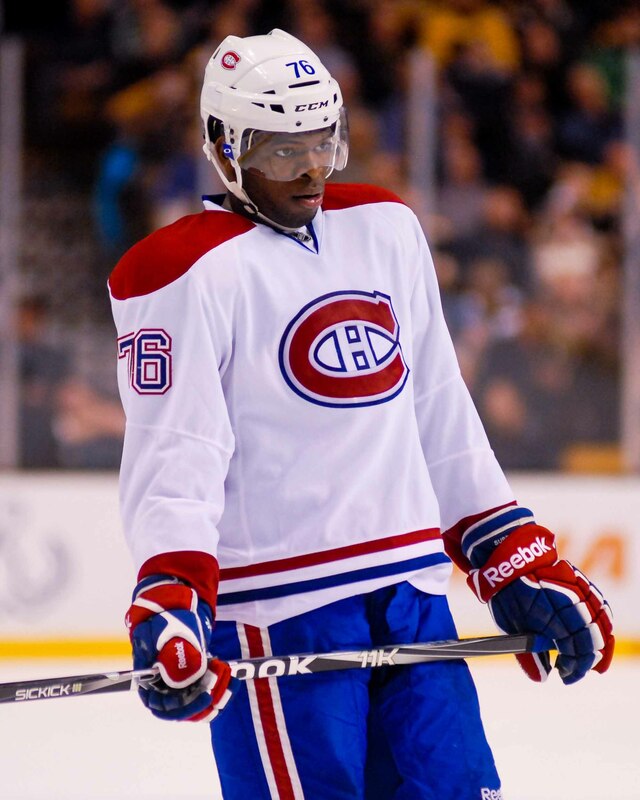 Montral Canadiens defenceman P.K. Subban pledged $10 million to the Montreal Children's Hospital — the largest philanthropic commitment from a professional athlete in Canadian history. Montréal Canadiens goaltender Carey Price won the Lou Marsh Trophy, given annually to Canada's top athlete as determined by a jury of Canadian sports writers. He is the first goalie to ever win the award. The trophy was Price's fifth award of 2015, in addition to the Hart Trophy, the Vézina Trophy, the Ted Lindsay Award and the William M. Jennings Trophy. Montréal Canadiens hall-of-famer Richard "Dickie" Moore died in Montréal, QC, at age 84. Moore played left wing for the Habs from 1951 to 1963, winning six Stanley Cup championships as part of a legendary lineup that included Maurice "Rocket" Richard, Henri Richard and Jean Béliveau. A leading scorer in the NHL of his era, Moore won the Art Ross Trophy two years in a row. Hockey coach John Brophy, who led the Toronto Maple Leafs for two and a half seasons in the late 1980s, died in his hometown of Antigonish, Nova Scotia. He was 83. Though the Leafs’ performance during Brophy’s tenure was not the finest of its history, Brophy left his mark on several hockey leagues as a hard-nosed player and coach. He ranks second only to Scotty Bowman in professional coaching victories and holds the Eastern Hockey League record for penalty minutes. 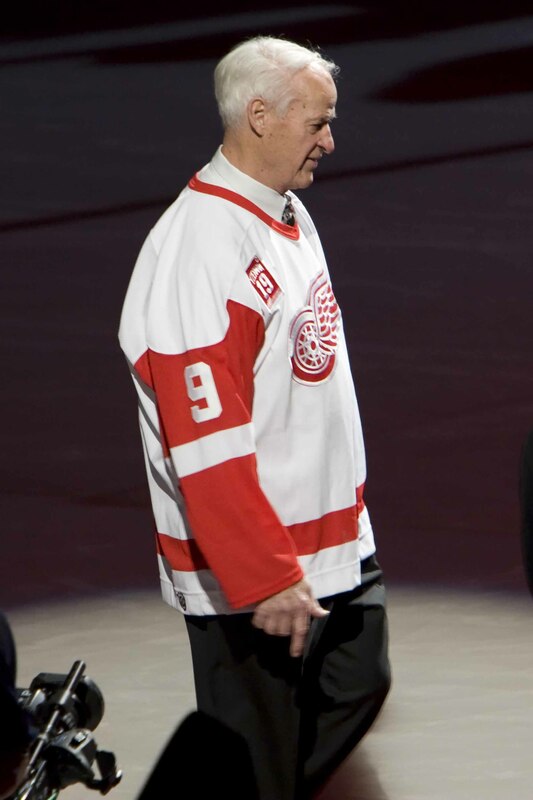 Twenty-one-time National Hockey League all-star Gordie Howe — known to generations of fans as “Mr. Hockey” — died in Sylvania, Ohio, at age 88. The Floral, Saskatchewan native played for 32 seasons in the major leagues, including 26 years in the NHL — 25 of these with the Detroit Red Wings. Few players have come close to matching his overall proficiency, and none his longevity.